A tick is a small parasitic arachnid that feeds on the blood of mammals, reptiles and amphibians. When a tick encounters a host, it bites into the victim’s skin and inserts a feeding tube. According to Alan S. Bowman and Patricia A. Nuttall, authors of "Ticks: Biology, Disease and Control," by biting into a victim, a tick can spread numerous deadly diseases such as Lyme disease or Colorado tick fever. 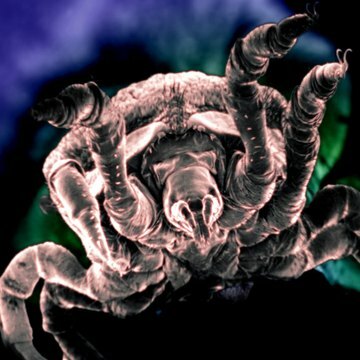 You can use home remedies to remove and prevent these parasites. According to Susan Hauser, author of "A Field Guide to Ticks," the acetic nature of apple cider vinegar repels ticks when applied to a bitten area or when consumed on a regular basis. Ticks will detach from the skin of a host if you apply a vinegar soaked cotton ball to the area for one minute. In addition, drinking one cup of apple cider vinegar daily will make a host unappealing to these parasitic creatures. Tea tree oil mixed with dish soap will cause a tick to remove itself from a host when applied to the area. The antibacterial and insecticide properties of the tea tree oil cause discomfort to the tick’s body, while the dish soap smothers the parasite. For best results, mix equal parts of tea tree oil and dish soap together. A cotton ball soaked in this mixture applied over the tick for one minute will cause it to detach itself. According to Roger Drummond, Ph.D., author of "Ticks and What You Can Do about Them," consumption or application of pure garlic oil will repel ticks from feeding on a host. To repel ticks, add 2 tablespoons of garlic oil to the potential host’s food once daily. This will release the enzymes in garlic into the blood stream and make the host unappealing to feed on. In addition, soaking a cotton swab in garlic oil and placing it over a feeding tick for one minute will cause the creature to detach from the host.